On November 1, immediately after the U.N. General Assembly’s overwhelming condemnation of the U.S. embargo (blockade) of Cuba that was discussed in a prior post, U.S. National Security Advisor John Bolton in a speech at Miami Dade College’s Freedom Tower announced new sanctions against Cuba, Venezuela and Nicaragua. The same day in an interview by the Miami Herald, Bolton made other assertions about the U.S. and Cuba. Other measures under consideration include insisting that Cuban workers on U.S. companies’ projects on the island be hired directly so that the workers get to keep all of the wages paid by the companies, rather than have the Cuban government skim significant portions of those wages. The U.S., said Bolton, opposes any increase of Russian involvement in Cuba and that hopefully the next time President Trump meets Putin that message will be communicated. Cuba immediately condemned Bolton’s harsh comments about the island., saying that the new sanctions were a futile attempt to change Cuban policies and would only further isolate the U.S. internationally. In particular, the Cuban official attacked the possibility of the U.S.’ allowing U.S. citizens whose property was seized by the Cuban government to sue foreign companies that have invested in the properties on the island. Fernandez de Cossio said such a measure would be unprecedented and violate international law, further isolating the U.S. “There is no possibility whatsoever for people who abandoned Cuba and abandoned property in Cuba to come back and claim them,” he said. Needless to say, John Bolton’s service as National Security Advisor, in this blogger’s opinion, is an unmitigated disaster on many levels, including these recent comments about U.S. policies regarding Cuba and other countries in Latin America. Yes, there are U.S.-Cuba disagreements, but the proper way to address, and hopefully resolve, them is through the ongoing, respectful bilateral meetings. White House, Remarks by National Security Advisor Ambassador John R. Bolton on the Administration’s Policies in Latin America (Nov. 2, 2018); Ward, John Bolton just gave an “Axis of Evil” speech about Latin America, Vox (Nov. 1, 2018); Assoc. Press, US vows tough approach to Venezuela, Nicaragua and Cuba, Wash. Post (Nov. 1, 2018); U.S. National Security Advisor talks Venezuela, Russia and Cuba relations, and the alleged attacks on U.S. personnel in Cuba, Miami Herald (Nov. 1, 2018); Rogin, Bolton promises to confront Latin America’s ‘Troika of Tyranny,’ Wash. Post (Nov. 1, 2018); Gaouette, Bolton praises Brazil’s far-right leader, slams Latin America’s ‘troika of tyranny,’ CNN (Nov. 1, 2018); Rodriguez, Bolton praises Brazil’s Bolsonaro as a ‘like-minded’ partner, Politico (Nov. 1, 2018); Wemer, John Bolton Takes Latin American “Troika of Tyranny” to Task, Atlantic Council (Nov. 1, 2018); McBride, Trump Administration Tightens Sanctions Against Cuba, Venezuela, W.S.J. (Nov. 1, 2018). See these posts to dwkcommentaries: U.S. and Cuba’s Efforts To Continue Normalization (December 9, 2016); Recent U.S.-Cuba Developments (June 15, 2018); U.S. and Cuba Continue To Hold Dialogues on Common Issues (July 12, 2018). U.S. State Dep’t, List of Restricted Entities and Subentities Associated with Cuba as of November 9, 2017). Gámez Torres, Bolton: Somebody must be held accountable in Cuba attacks, Miami Herald (Nov. 1, 2018). E.g., State Department Creates Cuba Internet Task Force and Suspends Enforcement of Statutory Liability for Trafficking in Certain Cuban Expropriated Property , dwkcommentaries.com (Jan. 25, 2018). Assoc. Press, Cuba Condemn[s] US’s Latest Tough Talk About the Island, N.Y. Times (Nov. 2, 2018); Reuters, Cuba Lashes Out at Trump Administration Over New Sanctions, N.Y. Times (Nov. 2, 2018). In the Summer of 2018 the Minnesota Orchestra is producing a multifaceted celebration of the life of Nelson Mandela. It started with a July 20 concert entitled “Celebrating Mandela at 100” at its home Orchestra Hall in Minneapolis. The next day, July 21, was the free International Day of Music in and near Orchestra Hall with many African and local musicians. That night the Orchestra presented a ticketed concert in the Hall. On July 31 Ladysmith Black Mambazo, the famous South African vocal group, will sing their songs at Orchestra Hall. August 8 through 18 will find the Orchestra in South Africa for concerts in Cape Town, Durban, Pretoria, Soweto and Johannesburg. This will be the first U.S. professional orchestra to visit the country. The concert in Soweto on August 17 will be recorded and broadcast the same day in Minnesota by Minnesota Public Radio. Future posts will discuss at least some of these concerts and events. Previous posts have touched on various aspects of Mandela’s life and Barack Obama’s Nelson Mandela Lecture in Johannesburg on July 17, 2018. As an U.S. and Minnesota citizen and admirer of Mandela and the Orchestra, I am proud that our Orchestra is engaging in such an energetic enterprise. Minnesota Orchestra, Program;: Sommerfest 2018 at 22-28,31, 37-41; Ross, Minnesota Orchestra previews South African tour: ‘Music became a weapon against apartheid,’ StarTribune at B1, B6 (July 22, 2018). Posts to dwkcommentaries.com: Obama: “Renewing the Mandela Legacy and Promoting Active Citizenship in a Changing World” (July 19, 2018); Nelson Mandela Was Inspired by Fidel Castro’s Cuban Revolution (May 18, 2018); Nelson Mandel Makes Connection with Cecil Rhodes (May 20, 2018); Celebrating the Rhodes Scholarships’ Centennial (June 21, 2011). On July 17, the day before the centennial of Nelson Mandela’s birthday, Barack Obama delivered the 16th annual Nelson Mandela Lecture in Johannesburg, South Africa to a crowd of 15,000 in a football (soccer) stadium (the Wanderers Stadium) and to a worldwide livestream audience of millions, including this blogger. 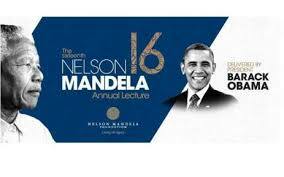 The lecture’s title: “Renewing the Mandela Legacy and Promoting Active Citizenship in a Changing World.”  Below are photographs of a poster for the lecture and of Obama giving the lecture. The lecture weaved the life and legacy of Mandela into an overview of world history from his birth in 1918 to the late 20th century and early 21st century to the current situation. Here is an abridged version of that lecture; the full text is available on the websites listed in the last footnote. For democracy to work “we have to actually believe in an objective reality. . . . You have to believe in facts. Without facts, there is no basis for cooperation. As an admirer of Mandela and Obama, I was thrilled to see and hear Obama deliver a lengthy and illuminating speech, especially his comments on the world’s current situation. Those words are challenges to everyone who values knowledge, intelligence and honesty about the many problems now facing the U.S. and the rest of the world. As he said, each of us has a responsibility to something to promote social justice. He also reminds us to have a better understanding of those who are adversely affected by the many changes in the world. Obama’s lecture also made we wonder whether it would be possible for all of the living former presidents (Obama, George W. Bush, Clinton, George H.W. Bush and Carter) to promulgate a joint statement about the need for every president to be informed about the serious issues and prudent in making decisions on these issues and about President Trump’s demonstrated incompetence as president. Nelson Mandela Foundation, Barack Obama to deliver the 16th Nelson Mandela Annual Lecture (April 23, 2018); Assoc. Press, Obama to Make Rare High-Profile Speech on Mandela’s Legacy, N.Y. Times (July 16, 2018); Nelson Mandela Foundation, Press release: Obama calls on the world to be Madiba’s Legacy (July 17, 2018). National Public Radio, Transcript: Obama’s Speech at the 2018 Nelson Mandela Annual Lecture (July 17, 2018); Read the Transcript of Obama’s Speech Defending Democracy, N.Y. Times (July 17, 2018). See The Tragic Extinguishment of the Eloquence of Robert F. Kennedy, dwkcommentaries.com (Aug. 29, 2017). Haag, Obama Warns of ‘Strongman Politics’ After Trump’s Meeting with Putin, N.Y. Times (July 17, 2018); Meldrum (Assoc. Press), Obama gives Trump sharp rebuke in Mandela address on values, StarTribune (July 17, 2018); Assoc. Press, The Latest: Obama Notes Politicians’ ‘Utter Loss of Shame,’ N.Y. times (July 17, 2018); Wintour, Obama criticizes ‘strongman politics’ in a coded attack on Trump, Guardian (July 17, 2018). See these posts to dwkcommentaries.com: Nelson Mandela Was Inspired by Fidel Castro’s Cuban Revolution (May 18, 2018); Nelson Mandel Makes Connection with Cecil Rhodes (May 20, 2018); Celebrating the Rhodes Scholarships’ Centennial (June 21, 2011). Stephen, Resign, Mike Pompeo. Resign, John Bolton. N.Y. Times (July 19, 2018). The world this year rightfully commemorates the centennial of the birth of Nelson Mandela, who survived nearly 27 years in South African prisons to become the President of his country and to end its apartheid system with grace and humility. That was why only a year-and-a-half after his release from prison, Mandela went to the city of Matanzas in Cuba to give an emotional speech on July 26, 1991, which is Cuba’s national independence day, with Fidel in attendance as shown in the photograph below. “We admire the achievements of the Cuban revolution in the sphere of social welfare. We note the transformation from a country of imposed backwardness to universal literacy. We acknowledge your advances in the fields of health, education, and science. I was somewhat surprised to find that Mandela’s speech has no mention of Matanzas as a major port of entry for African slaves to work on sugar plantations, especially in the first half of the 19th century. As a result, it is said, due to the high number of both slaves and, importantly, free Afro-Cubans in Matanzas, the retention of African traditions is especially strong there. Perhaps that is the reason Fidel chose this celebration to be in that city. The city’s San Severiino Museum has an exhibit about Cuba’s slave trade. Details about the commemoration are available on the website of the Nelson Mandela Foundation. One of the events is the 16th Nelson Mandela Annual Lecture on July 17, 2018, which this year will be given by former U.S. President Barack Obama and will be covered in a future post to this blog. Sampson, Mandela: The Authorized Biography at 152, 191, 414, 554 (Alfred Knopf, New York, 1999). Speech by Nelson Mandela at the Rally in Cuba (July 26, 1991). See these posts to dwkcommentaries: The Cuban Revolution and Religion (Dec. 30, 2011); Minneapolis’ Westminster Presbyterian Church’s Connections with Cuba (Jan. 13, 2015); Minneapolis’ Westminster Presbyterian Church Celebrates U.S.-Cuba Reconciliation (Jan. 4, 2015). In light of President Barack Obama’s historic December 17, 2014, announcement of rapprochement with Cuba, it is interesting to examine Obama’s earlier statements about Cuba. A prior post examined his campaign for the Democratic presidential nomination in 2007-2008. 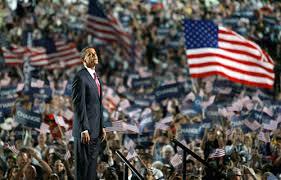 This post will discuss his campaign for the presidency as the Democratic Party’s nominee in 2008. Future posts sill look at his first presidential term (including his 2012 presidential election campaign), 2009-2013; and his second presidential term (up to the December 17, 2014, announcement), 2013-2014. Remember, as discussed in a prior post, that on August 28, 2008, Barack Obama accepted the Democratic Party’s presidential nomination. A week later (September 4th) Senator John McCain accepted the Republican Party’s presidential nomination. In the next two months leading to the presidential election on November 4th, the two candidates met in three debates on September 26 and October 7 and 15. The New York Times thought the first debate on September 26 “was generally a relief from the campaign’s nastiness. Both John McCain and Barack Obama worked to strike a more civil and substantive tone. And Americans could see some differences between the candidates on correcting the regulatory disasters that led to the Wall Street crisis, on how to address the country’s grim fiscal problems and on national security. There were also differences in the candidates themselves. 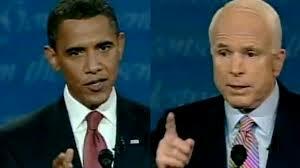 Mr. McCain fumbled his way through the economic portion of the debate, while Mr. Obama seemed clear and confident. Mr. McCain was more fluent on foreign affairs, and scored points by repeatedly calling Mr. Obama naïve and inexperienced.” However, there was no discussion about Cuba. During the second debate on October 7 McCain criticized Obama for saying he would speak, without preconditions, to the leaders of countries like Pakistan (and presumably Cuba). McCain said he would deal with leaders of foes the way Theodore Roosevelt did: “talk softly, but carry a big stick. Senator Obama likes to talk loudly.” Again, no direct discussion about Cuba. Throughout the last debate on October 15, reported the New York Times, “Mr. McCain offered voters what amounted to a reprise of all the attacks that have been lodged at Mr. Obama over the past year, by Mr. Obama’s Democratic and Republican opponents, Ms. Palin, Republican leaders and, at times, Mr. McCain.” But again no discussion about Cuba. In the election on November 4, 2008, Barack Obama and Joe Biden obtained 69.5 million votes (52.9% of the total) while John McCain and Sarah Palin received 59.9 million votes (45.7%). In the key state of Florida, Obama-Biden had 51.0% of the popular vote against McCain-Palin’s 48.4%.The electoral votes were Obama and Biden, 365; McCain and Palin, 173. After Obama and Joe Biden won the November 2008 election, several head of states congratulated Obama while also calling for the U.S. to end its sanctions against Cuba. In contrast with the campaigning for the Democratic presidential nomination, there was practically no mention of Cuba or of Obama’s proposed policies regarding that nation in the presidential race. Surprisingly the emphasis in the nomination campaign on Obama’s willingness to meet, without preconditions, leaders of states like Cuba almost disappeared in the campaign for the presidency. This post and the other posts about Obama’s prior statements (and actions) about Cuba are not based upon comprehensive research. The primary research tool was online searching of the New York Times for articles mentioning “Obama and Cuba” for the relevant time period. Therefore, this blogger especially welcomes comments with corrections and additions. This post is based upon the following: Nagourney & Cooper, McCain vows to End ‘Partisan Rancor,’ N.Y. Times (Sept. 4, 2008); Editorial: The First Debate, N.Y. Times (Sept. 26, 2008); Nagourney, Economic Woes Set Tone for Rivals in 2nd Debate, N.Y. Times (Oct. 7, 2008); First Impressions on the Last Debate, N.Y. Times (Oct. 15, 2008); Rutenberg, Candidates Clash Over Character and Policy, N.Y. Times (Oct. 15, 2008); Editorial: The Final Debate, N.Y. Times (Oct. 15, 2008); Healy, McCain Attacks, but Obama Stays Steady, N.Y. Times (Oct. 16, 2008); Editorial: Barack Obama for President, N.Y. Times (Oct. 23, 2015); Wikipedia, United States presidential election debates, 2008; Wikipedia, United States presidential election, 2008. In light of President Barack Obama’s historic December 17, 2014, announcement of rapprochement with Cuba, it is interesting to examine Obama’s earlier statements about Cuba. 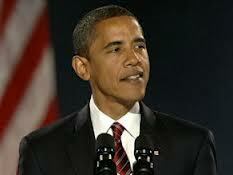 This post will examine his campaign for the Democratic presidential nomination in 2007-2008. Future posts will look at his 2008 presidential campaign; his first presidential term (including his 2012 presidential election campaign), 2009-2013; and his second presidential term (up to the December 17, 2014, announcement), 2013-2014. On February 10, 2007, at theI llinois State Capitol in Springfield Barack Obama announced his candidacy for the Democratic Party’s presidential nomination. Almost all of his speech was about domestic issues with the exception of his pledge to end the war in Iraq and “bring our combat troops home by March of 2008.” There was no mention of Cuba. The Obama campaign team anticipated that the Clinton campaign would seize on Obama’s willingness to meet, without preconditions, with leaders of so-called rouge regimes. Obama, however, welcomed this attack and told his aides “we will not back down on this one bit.” This position was supported by polling in Iowa, the early caucus state, and showed that Obama represented change and Hillary did not. At a December 1, 2007, televised Iowa debate among the Democratic candidates for their presidential nomination, Obama agreed with Mrs. Clinton, John Edwards and Joe Biden that the U.S. should not normalize relations with Cuba while Fidel Castro was still in power. Only Christopher Dodd and Dennis Kucinich were in favor of working for change with Fidel. 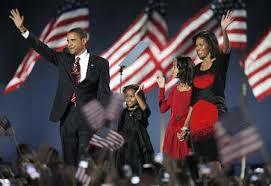 On February 19, 2008, the outside world provided a new circumstance for the candidates to react to. Fidel Castro resigned as President of Cuba due to poor health, and his brother, Raúl Castro, became Acting President and five days later (February 24, 2008) the President upon election by Cuba’s National Assembly. Responding from a campaign stop in Oregon the next day (May 21, 2008), Obama said, “with Fidel Castro stepping down from the presidency” and his brother Raul now in that post, “I think it’s a good time for us to reassess our Cuba policy. Cuba is a dictatorship that does not respect human rights or the free exercise of religion.” On the other hand, Obama argued, “our Cuba policy was shaped when I was born and basically hasn’t changed for 46 years.” Since that policy of political and economic isolation “hasn’t worked,” he added, it is now time to “try different things.” Mr. Obama spoke of the possibility of normalizing relations with Cuba if diplomatic contacts prove fruitful. But he also argued that “it is important to send some signals right now,” recognizing that “our relationship may be at a moment of transition right now.” In particular, Mr. Obama indicated that he favors lifting restrictions both on visits by Cuban-Americans to their families on the island and on the money they send back to those relatives. Three months later, August 25 to 28, the Democratic Party held its National Convention in Denver, Colorado, where it adopted its national platform and officially nominated its candidates for President and Vice President. Obama was nominated on August 27, when his former opponent, U.S. Senator Hillary Clinton, interrupted the official roll call to move that Obama be selected by acclamation. U.S. Senator Joe Biden also was nominated for Vice President that same night, following which he accepted the nomination. 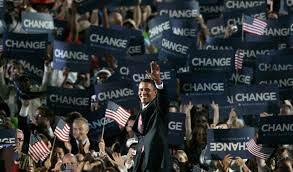 On August 28 Obama accepted his nomination in a speech at INVESCO Field before a record-setting crowd of 84,000 people in attendance plus additional millions on national and international television. 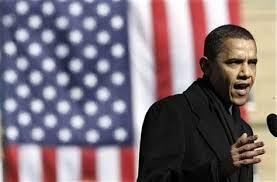 The speech concentrated on his visions for the future of the U.S. economy and better lives. He did not mention Cuba or any other foreign policy issue other than his promise to end the war in Iraq. Obama in his campaign for the nomination consistently asserted that he favored discussions or negotiations with Cuba and other rogue states “without preconditions.” That, in fact, is what he did in the 2013-2014 secret negotiations with Cuba that led to the December 17, 2014, announcement of rapprochement with Cuba. This campaign position was based upon the assumption that the nearly 50-years of U.S. policy regarding Cuba was a failure and needed to be changed. This, in fact, is what he said in the December 17th announcement and the July 1st announcement of re-establishment of diplomatic relations with Cuba. In this campaign Obama advocated liberalizing U.S. restrictions on travel to Cuba and U.S. citizens’ remittances to Cubans. This, in fact, is what he did in early 2009 and in 2014. Obama in this campaign also talked about the importance of the U.S. pressing Cuba on human rights, releasing of political prisoners and opening up the Cuban press. This, in fact, since December 17 these subjects are being discussed with Cuba. There, however, was one discordant note in this campaign. On May 23, 2008, Obama said he would maintain the embargo whereas in the December 17, 2014, announcement he called for Congress to end the embargo. This post and the subsequent posts about Obama’s prior statements about Cuba are not based upon comprehensive research. The primary research tool was online searching of the New York Times for articles mentioning “Obama and Cuba” for the relevant time period. Therefore, this blogger especially welcomes comments with corrections and additions. This post is based on the following: David Plouffe, The Audacity to Win (Viking; New York; 2009); Assoc. Press, Ill. Sen. Barack Obama’s Announcement Speech, Wash. Post (Feb, 10, 2007); Kristof, Obama on the Issues (and his Grandfather’s Wives), N.Y. Times (Mar. 5, 2007); Seelye, Clinton-Obama Commander Duel, N.Y. Times (July 24, 2007); Falcone, 2008: Obama Speaks, N.Y. Times (Aug. 21, 2007); Traub, Is (His) Biography (Our) Destiny?, N.Y. Times (Nov. 4, 2007); Healy, Though Caucuses Loom, Democrats Tone It Down, N.Y. Times (Dec. 1, 2007); McKinley, Fidel Castro Resigns as Cuba’s President, N.Y. Times (Feb. 19, 2008); Transcript: Democratic Debate in Austin, Texas, N.Y. Times (Feb. 21, 2008); Phillips, McCain Hits Obama on Cuba, N.Y. Times (Feb. 22, 2008); McKinley, Raúl Castro Named Cuba’s New President, N.Y. Times (Feb. 24, 2008); Stout & Knowlton, Bush Calls Surveillance Bill an ‘Urgent Priority,’ N.Y. Times (Feb. 28, 2008); Stolberg, Bush Criticizes Democrats Running for President on Trade, Iraq and Cuba, but Not by Name, N.Y. Times (Feb. 29, 2008); Cooper, Vice Presidential Tea Leaves and a Dig at Obama, N.Y. Times (Mar. 6, 2008); Luo, McCain Now Hammers Obama on Cuba, N. Y. Times (May 20, 2008); Rohter, Obama to Address Cuban Group, Marking Shift from GOP Alliances, N.Y. Times (May 22, 2008); Zeleny, Obama Discusses Cuba Policy, N.Y. Times (May 23, 2008); Zeleny, Obama, in Miami, Calls for Engaging with Cuba, N.Y. Times (May 24, 2008); Wikipedia, 2008 Democratic National Convention; Transcript: Barack Obama’s Acceptance Speech, N.Y. Times (Aug. 28, 2008). Tom Hayden: Will U.S.-Cuba Normalization Fail Again? On May 12, President Obama held a confidential conversation in the White House with Uruguay’s president, Jose Mujica, the former Tupamaro guerrilla leader. The meeting was a fateful one. Did they discuss Uruguay’s becoming the first Marijuana Republic? Perhaps. Did they discuss the US-Cuba diplomatic impasse of 55 years? Most certainly, because three weeks later at an Organization of American States (OAS) meeting in Uruguay the delegates reaffirmed a decision to officially invite Cuba to a summit in Panama next May. The Obama administration will have to accept Cuba’s recognition by the OAS this spring or sit sheepishly in isolation. Fifty years ago, the OAS voted 15-4 to terminate all diplomatic relations and trade with revolutionary Cuba. Uruguay was one of the four dissenters in those days, when the revolutionary Mujica was underground, and has not changed its position over time. One doesn’t need gray hairs to observe that the US policy towards Cuba is obsolete and counter-productive. Ten years ago, then state Senator Barack Obama called for diplomatic recognition. Hillary Clinton recently revealed her support for recognizing Cuba as secretary of state. Recent polls, even in Florida, show majorities in favor of normalization. Inner circles in both countries are trying to explore a rapprochement, wary of pitfalls and domestic critics. The most important recent change in US policy is the lifting of the travel ban on Cuban-Americans visiting the island. As many as 500,000 travel back and forth every year, visiting family, sharing dialogue, spending millions in remittances. On the Cuba side, all agree that Raul Castro has opened significant space for private investment and entrepreneurs once condemned as counter-revolutionary. Businesslike bilateral talks are underway about issues of mutual interest, from currency exchanges to potential oil spills. The biggest obstacle, from the Cuban view, is a persistent US program of covert “democracy promotion” – or, regime change – aimed at subverting the Cuban government by funding dissident networks in Cuba. “Stupid, stupid, stupid!”, is how US Sen. Patrick Leahy recently described the leaked revelations about a secret social media “Cuban twitter” program called ZunZuneo, after a Cuban hummingbird. One among fifty years of subversion projects, ZunZuneo was launched in 2009 after Obama spoke of building a new relationship. Its sponsor was the US Agency for International Development [AID], even after an AID contractor, Alan Gross, was arrested in Cuba for distributing communications equipment in violation of Cuban law. Gross, now serving a 15 year sentence, is at the center of the heightened tensions now threatening normalization. Gross, 65, is widely reportedly in poor health and threatening to take his own life if he’s not released by next year. Should that occur, according to one top US official, it would end any hope of Cuba winning the return of one of its agents, Gerardo Hernandez, one of the Cuban Five who were captured in DATE while surveilling anti-Castro Cubans flying into Cuban airspace to drop propaganda materials. When two exile pilots were shot down by the Cubans after warnings conveyed directly to the US government, the Five were imprisoned on conspiracy and espionage charges. Two have served their time in federal prisons and returned to Cuba. Two others will finish their terms shortly, leaving Gerardo Hernandez facing a double life sentence. Prisoner swaps have occurred before, for example in 1978-79 when President Jimmy Carter and Fidel Castro orchestrated the release of Puerto Rican nationalists who were imprisoned for shooting up the US House of Representatives in 1954. Although the releases were described as unrelated, the Puerto Ricans were pardoned and returned to their island while separately the US received a group of its agents held in Cuban prisons. The Obama team was flat-footed in their response, failing to notify even their top Congressional allies. That failure violated a legal requirement that Congress be informed thirty days before any such deal, an obstacle that most likely would have killed the swap. But Democratic leaders were furious at not even being informed of the move. That’s why Alan Gross remains behind bars in Cuba with no deal for his release remotely possible. With the Gross matter unresolved, the entire process of normalization could go off track. Many in Washington view the Cubans as too stubborn in the Gross case. But the Cubans have been burned by unfulfilled promises and miscommunications many times over the decades, and leaving Gerardo Hernandez behind is unacceptable to them – just as Obama argued that leaving Pfc. Bergdahl behind was out of the question. The Cuban dilemma is that if anything should happen to Gross they will never see Gerardo back and a rapprochement could slip away. It may sound shocking to many Americans, but the death of Alan Gross in a Cuban prison would serve the interests of some in the anti-Castro Cuban lobby that is deeply threatened by the prospects of normalization. The death of Gross would serve the narrative that Castro’s Cuba operates a heartless gulag, ignoring the many proven examples of Cuban exile terrorism directed from Miami against Cuban civilians, like the 73 Cubans killed in an airline bombing in 1976. Cuban exiles have been a perfect examples of the “cancer on the presidency”, the metaphor once used by Nixon aide John Dean. They were the lead conspirators in the 1972 Watergate break-in, and the 1976 assassinations of Chilean diplomat Orlando Letelier and his American assistant Ronnie Moffett, on embassy row in Washington DC. Their violent attacks on Cuba from a Miami enclave are too numerous to document. Cuba will make its own decision for its own reasons in the Gross case, and may have to make it soon. Since the Obama administration fears any appearance of a quid pro quo in the wake of the Bergdahl fiasco, should Cuba expect nothing in exchange for the release of Gross as a humanitarian gesture? That might depend on the initiative of the many in the US Congress who recognize that it’s long past time for a better relationship with Cuba. They could, for example, communicate private guarantees of White House action. They could try deleting the $20 million in federal funds for “democracy programs” in the wake of the ZunZuneo scandal. They could send a letter to Obama requesting Cuba’s removal from the list of four countries designated as “terrorist” states, which hampers Cuba’s access to financial capital. They could urge the president to lift the ban on Americans traveling to Cuba or spending US dollars there, thus undermining the current embargo. If they can’t do anything in response to a release of Gross, they could watch the prospect of normalization drift away. Another recent crisis may shadow the US-Cuban process, revealing the complications of the impasse.. A long-planned improvement of relations between Russia, Cuba and Latin America is underway just at the moment when clouds of the Cold War are darkening the horizon over the Ukraine. Russia’s Vladimir Putin has just forgiven ninety percent of Cuba’s $30 billion debt owed to Russia for three decades, fueling the anti-communist suspicions of the Cuban Right. The arrangement is helpful to Cuba’s economy, long embargoed by the US, and adds a new counterweight against the US pressures on Cuba. If initial reports that Russia re-establishing a spy base on the island, that might chill the relationship further. Cuba, of course, has a sovereign right to accept a Russian base, especially as US regime change programs continue. Whatever the spillover from the Bergdahl affair and the growing Russian-American conflict, however, nothing can stop the clock ticking towards 2015 when Obama has to decide whether to join the Organization of American States in restoring Cuba to equal membership. If that’s what the president’s confidential White House meeting with Uruguay’s Mujica in May was all about, the process of normalization may yet survive the remaining obstacles to resolution after five long decades. Posted on September 6, 2014 September 6, 2014 Categories History, Law, Other countries, PoliticsTags Alan Gross, Barack Obama, Bowe Bergdahl, Cuba, Cuban Five, Cuban social media program, Fidel Castro, Gerardo Hernandez, Jimmy Carter, Jose Mujica, Organization of American States (OAS), Raul Castro, Russia, Tom Hayden, United States, Uruguay, USAIDLeave a comment on Tom Hayden: Will U.S.-Cuba Normalization Fail Again?